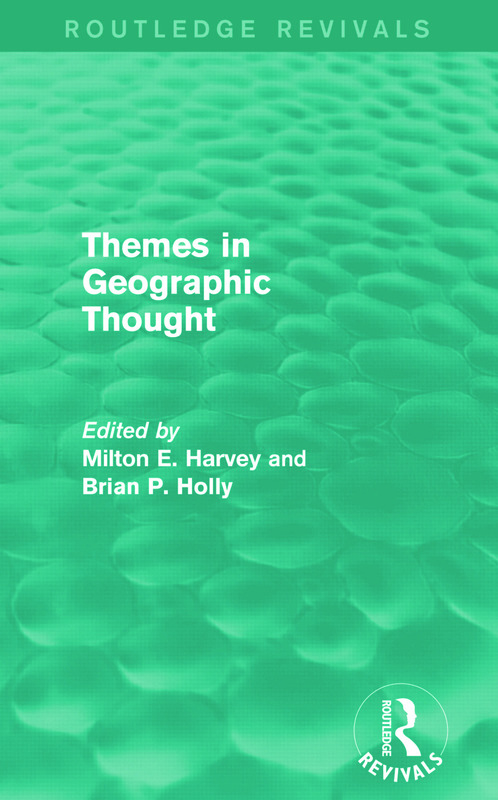 Themes in Geographic Thought, first published in 1981, explores in breadth and depth the interrelationships among the history of Geography, geographic thought, and methodology, specifically focusing on the interactions between geographical research and various contemporary philosophical schools: positivism, pragmatism, functionalism, phenomenology, existentialism, idealism, realism and Marxism. An attempt is made to synthesise Geography’s historically rich tradition with the current diversity in approaches to the discipline, based on the belief that ‘geographic thought’, at any point in time, is a manifestation of the mutual influence between the prevailing philosophical viewpoints and the major methodological approaches in vogue. Each chapter presents an overview of the concrete ideas of a particular school of philosophy and stresses its relevance and impact on various aspects of Geography.